The most popular – and best known – of the lost continents is Atlantis, a land supposed to have lain in the middle of the Atlantic Ocean. It even has its own FaceBook fan page! First mentioned by Plato (428×7-347 BCE) in his dialogues Τιμαῖος (Timaeus) and Κριτίας (Critias), written towards the end of the philosopher’s life in c 348 BCE. Plato introduced the idea of a lost land to the west of Greece as part of a political fable. In the first book, Plato’s relative Critias is made to explain how he learned the story of Atlantis: he had heard it from his grandfather, who had learned it from his father, who had been told it by the politician Solon (c 638-559 BCE). According to Plato, Solon had been told about Atlantis by a priest in a temple at Saïs when he visited Egypt c 590 BCE. The priest explained that nine thousand years earlier (i.e. c 9590 BCE), the ancient Athenians went to war with the ancient Atlanteans, whom they defeated. The Atlanteans lived in a city on an island to the west of the Pillars of Hercules (the ancient name for the Strait of Gibraltar) and were descended from the god Poseidon, but had degenerated from an earlier state of perfection. Both Athens and Atlantis were destroyed in “earthquakes and floods of extraordinary violence… in a single dreadful day and night” nine thousand years ago. The Critias repeats the same story, but in greater detail, explaining how the goddess Athena had established the city of Athens shortly after the creation of the world. The prehistoric Athenian state was ruled by a military oligarchy, which by a remarkable coincidence was just like the ideal state hypothesised by Plato in an earlier book, The Republic. Remarkable, that is, if you read this political fable as history. While Athena was allotted Greece, Poseidon got Atlantis and his descendants (via the mortal woman Kleito) established ten kingdoms with an over-king. Plato describes the city of Atlantis in some detail: it lay between the coast and a large fertile irrigated plain, was perfectly circular and contained at its centre a series of ring-shaped islands set between canals, in the middle of which lay the citadel. They were connected to the sea and to the plain by a further canal. The buildings of the city were magnificently ornamented with precious metals – including the otherwise unknown ὀρειχαλκον (orichalcum – ‘mountain copper’) – and ivory from indigenous elephants. The kings ruled well for many years, but when their descendants became corrupt, Zeus decided to punish them. At the point where he is about to launch into a speech to the other gods, the text breaks off, unfinished. The third book of what was intended to be a trilogy, to which Plato may have intended to give the name Ἑρμοκράτης (Hermocrates) (after another of the participants in the fictional discussion) was never written. In the ancient world, Plato’s Atlantis was treated as a literary device, not as an historical city of the remote past. For instance, the Christian writer Tertullian (c 160-after 213) used it as an example of the world-wide flood of Noah and observed that it had been sought in vain (de Pallio II.3); a few paragraphs earlier in the work, he had mentioned Plato and it is likely that the two were connected in his thoughts. Ammianus Marcellinus (c 330-after 392) has been used to justify statements that the Gauls believed that they had come originally from Atlantis. In fact, Ammianus says no such thing. In Res Gestae XV.9, quoting the authority of an Augustan historian, Timagenes (c 55 BCE-? ), whose work is lost, he says that “the Drasidae [Druids] recall that a part of the population is indigenous but others also migrated in from islands and lands beyond the Rhine”; this would mean that they believed they had come from the north (Britain, the Netherlands and Germany), not from a lost land in the Atlantic Ocean, to the south-west. Atlantis occasionally found its way onto maps, particularly after the discovery of the New World at the end of the fifteenth century. This led some writers to speculate that these strange new uncharted lands were the remnants of the island. However, it did not enter the popular imagination until the 1880s, when a lawyer from Philadelphia and congressman for Minnesota, Ignatius Donnelly (1831-1901), wrote Atlantis: the Antediluvian World. The book was so popular that it is still in print (in a paperback edition published by Dover Books in 1985). It is a remarkable book, showing a huge breadth of knowledge acquired through years of reading and research in the Library of Congress. It is no exaggeration to say that this book (on its own) was responsible for the late nineteenth-century growth of interest in the lost continent and its subsequent popularity. Donnelly picked up on the work of the Abbé Charles-Étienne Brasseur de Bourbourg (1814-1874), who had worked out a translation of the Troano Codex, half of one of only three Maya manuscripts to survive. His attempt at translation was completely misguided (he believed that Maya hieroglyphs were an alphabetic script), but he read the Codex as describing a volcanic catastrophe in which a land called Mu was destroyed. Donnelly took this translation seriously, identified the supposed Mayan Mu with the Greek Atlantis and began researching possible links between the Maya and the rest of the world. Using the diffusionist logic of late nineteenth-century archaeology, he reasoned that if institutions such as marriage and divorce, technology such as spears and sails, or beliefs such as ghosts and flood legends existed on both sides of the Atlantic, it followed that there must be a common origin for them. He found similarities between the Maya hieroglyphs published by Brasseur de Bourbourg and those of Egypt and between the languages of the Chinese, Old Japanese and the Otomi of Mexico. Needless to say, most of the supposed similarities are fanciful and are based on superficial characteristics. Moreover, there is no reason to believe that similar institutions, technologies and beliefs must be invented only once, in one place. The evidence amassed by Donnelly for an historical Atlantis is ultimately weak and has never commanded any serious academic support. Donnelly’s breadth of knowledge may have been huge, but he lacked the depth of knowledge that would have allowed him to exercise his lawyer’s critical faculties more effectively. Most damaging for the hypothesis of a large mid-Atlantic island, there is no room for a landmass in what we know of the geological history of the Atlantic Ocean. The mid-Atlantic Ridge that Donnelly thought might contain the remnants of an Atlantean mountain range in the vicinity of the present-day Azores is not the remains of a sunken continent. Rather, it is new material forming as the North American, European, South American and African tectonic plates move apart, something that was not understood in the nineteenth century. One of the most unusual treatments of the Atlantis story that some writers continue to quote as a serious source comes from what ought to have been long since discarded as a hoax. This was a front page story of The New York American (a morning newspaper published by William Randolph Hearst from 1895 to 1937) in October 1912 quoting a Dr Paul Schliemann (allegedly c 1884-1914×18), who claimed to be (and almost certainly was not) a grandson of the discoverer of Troy, Heinrich Schliemann (1822-1890), although whether he really gained a PhD, as he claimed, does not seem to have been established. The story was called ‘How I Discovered Atlantis, the Source of All Civilization’. He announced that he had been left certain secret documents by his grandfather, including one that described the discovery at Troy of a bronze vase inscribed ‘From the King Cronos of Atlantis’ and an owl-headed vase that he was to break open. Among the documents was an envelope only to be opened by someone prepared to dedicate his life to what was contained within: the family’s secret, which was the true location of Atlantis. On breaking open the vase, Schliemann was astounded to discover a hoard of square Atlantean coins of a platinum-aluminium-silver alloy (presumably meant to be the orichalcum of Plato) and a metal plaque bearing a Phoenician inscription that read ‘Issued in the Temple of Transparent Walls’. 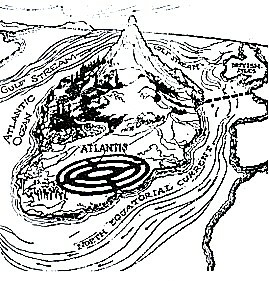 Paul Schliemann was the first to claim that Atlantis was an advanced civilisation with technological achievements matching those of the twentieth century (aircraft, power-driven boats and so on), although the Theosophists had also made extravagant claims about Atlantean accomplishments. Schliemann’s newspaper story is the sole authority for the ‘evidence’ sometimes used to support ideas of the superior technology of the Lost Continent. He quoted the usual sources, but made serious blunders that made the hoax all too evident from the outset. Claiming to have discovered the secret of the lost continent of Atlantis in an ancient Mayan text, the Troano Codex, which he said that he had read in the British Museum, this was too obvious an error to overlook: the Troano Codex was (and still is) in the National Museum in Madrid. His story was merely a rehash of Brasseur de Bourbourg’s ‘translation’, anyway. Coins had not yet been invented at the supposed time of the Atlantean kingdom, either: they were first used c 600 BCE in the kingdom of Lydia (now part of modern Turkey). When asked for the further evidence he had promised in the original newspaper story and to produce objects such as the owl-headed vase, Schliemann did not respond and disappeared from history. Nothing further appears to be known about him, although it is rumoured that he died in action during the First World War; what is certain, though, is that his fabrication has – undeservedly – long outlived him. Indeed, it is more than possible that he was the invention of a newspaper copywriter, as The New York American was known for its lurid and sensationalist stories, as well as pseudoscience, a style known pejoratively as yellow journalism. Renaissance scholars who rediscovered Plato’s account of Atlantis were in no doubt where it has been located: beyond the Pillars of Hercules at the Strait of Gibraltar. How far out into the Atlantic Ocean it might have lain was a matter of speculation, some writers placing it close to Africa, others identifying it with the Americas. It is not accurate to say that the ancients regarded Atlantis as a mere literary device. There were some who believed it to have a factual basis. And Marcellinus says the Egyptian intelligencia regarded the Atlantis tale as actual history. The solution is actually fairly simple and straightforward: Atlantis was a supervolcanic island off Portugal that exploded and sank in the 17th century BC (see Roots of Cataclysm, Algora Publ. NY 2009). Plato’s dating is obviously wrong, simply because the Egyptian priests (his source) habitually exaggerated historical time. I’ve been through the text of Ammianus Marcellinus looking for references to Atlantis and failed to find them. Is your reference to Marcellinus Comes? Could you point me to any ancient sources that do take it as anything other than a literary device? Strabo (Geography II.3.6) quotes Poseidonius as citing Plato’s text as an authority for the existence of Atlantis in a passage dealing with landslips caused by earthquakes, but we don’t have Poseidonius’s own words, so we really don’t know what he believed. Strabo seems to be agnostic about the place. I remember seeing this on Google Earth before it was removed. They say it was an artefact of the imaging and that makes some sense but the location was too perfect and it really, really, did look artificial – not to mention I was checking other locations just in case and the supposed imaging artefacts weren’t there. By the way, I’m not keen on the whole nut-bag stuff myself but given that historical time was exaggerated and people were seafarers way back, it doesn’t take much to think that at some point, someone built a city on an island. And this part of the Atlantic is actually supervolcanic and not too far from the fault lines so it could have sank. There is an old book by L. Sprague de Camp called “Lost Continents” that has lots of ancient references to Atlantis in an Appendix. A few that might be of interest are from Proklus, Philo Judaeus, Gais Secundus, Strabo, Plutarch, Aelian, and A. Marcellinus. None of these support the “literary device” theory. The (Egyptian) (Alexandrian) intelligentsia reference is in a number of Atlantis type web sites, (e.g., Atlantipedia), but regrettably none seem to have a chapter and verse citation. So, most of these aren’t references to Atlantis. Of those that are (nine in all), Strabo tries to correct the common assumption that it never existed, Pliny the Elder (the ‘Gaius Secundus’ you mention) expresses scepticism about it, Plutarch laments the unfinished work of Plato, Athenaios merely uses Plato to provide a definition for an obscure word, Tertullian is teaching a moral, Aelian’s reference is hard to understand if Atlantis is meant to have sunk beneath the waves millennia before, Arnobius seems to have misunderstood Plato’s story, Proklos cites contrary opinions on its existence and Kosmos Indikopleustes desribes it as “invention”. This is not overwhelming support for a view that ancient writers took Plato’s story at face value. Philo and Ammianus Marcellinus have nothing to say about Atlantis. The first mentions Atalantë, a real place, but mislocates it, presumably by muddling it with Atlantis (Philo certainly knew Plato’s works). The second describes, without naming, an island off Europe destroyed by an earthquake; this does not sound like Atlantis. So I remain unconvinced that the majority view in the ancient world was that Plato’s Atlantis was believed to be a real place. We know that Strabo believed that it was and that he cites Poseidonios as confirmation, so presumably he did, while Proklos cites Krantor as a believer. This is poor showing! Back to the literary device concept. Let’s consider that Plato did use it as a literary device. But also that real things can be used as literary devices. So maybe he used real Atalante as the source for the literary device for fictional Atlantis. Also that Plato was working with crappy directional data. His dad may have been a merchant seaman but I don’t recall him being one. Someone could have said “it was over there” and Plato could have said “what? west of the pillars of hercules?” and the source said “yeah that sounds like what so and so said!”. Even in your article you mention Plato hearing the tale after proverbial chinese whispers. That google map thing is a better match for Atalante than strict Plato Atlantis anyway. And it might be what the story teller meant but Plato’s source got confused. And if you’re wondering what I base that on, well, it’s uniformitarianism – people in ancient Greece had just as many brain farts as people do now, and the kiss principle (which includes the idea that idiocy is often a more likely explanation to deceit) applies. Ergo lost in translation so to speak. Oh and obviously we need to consider the google map thing as potentially inaccurate. That’s our null, we can assume that. But it’s weird enough, even after data correction to be worth a second look. And people have said the lines are too wide for walls or roads, but they’re not too wide to be a small houses side by side. Now as for earthquakes – how is this not in line with how Atlantis would have sunk? The supervolcanos and the islands that form from these were created by shifting plates (which cause earthquakes). These same shifting plates can cause tsunamis. An earthquake of that magnitude would be felt by land lubbers at a great distance from the tsunami as well as others within eye-shot of a tsunami. Thus some will say earthquake and some tsunami. Philo definitely mentions Atlantis in his “On the Eternity of the world”. Or somebody credited as Philo (Philo’s authorship of the text is in doubt). It’s no muddling of a historical place with Plato’s Atlantis, he directly refers to Plato’s Timaeus in the same sentence. The text refers to Plato and Timaeus multiple times. Yes, Atalanta is also the name of an unrelated historical place as well as a mythological figure. This doesn’t mean there was a confusion. A comparative philologist would have no issue with such minor phonetic and spelling variations, especially over a vowel. Atalanta/Atlantis are probably cognate. Humans have a tendency to name places after others. For example, virtually everywhere there was a Phoenician presence there is often a name derived from the Semitic root Q-D-S (Kadesh, Quds, etc.). Comparative philology requires abstract thinking which is something mathematic-minded thinkers have trouble with. You said Ammianus Marcellinus’ island doesn’t sound like Atlantis. It’s true that he doesn’t give it a name, but he writes of a large island swallowed up by the “Atlantic Sea” off the coast of Europe. This certainly sounds like it COULD be Atlantis which is usually understood to be a large island in the Atlantic near the coast of Spain outside the Straits of Gibraltar. In the absence of evidence it’s natural to be skeptical, but skepticism which dismisses possible evidence is unscientific. You wrote “Philo and Ammianus Marcellinus have nothing to say about Atlantis” which is not true in Philo’s (or ‘pseudo’ Philo’s) case because the work in question alludes to and references Plato and Timaeus. Ammianus Marcellinus mentions a large island swallowed by the sea in an earthquake located within the vicinity of Atlantis’ alleged location which could be a reference to Atlantis. It also could not be but my issue is taking a definitive stance and taking “could not” for “does not” or in your case “nothing” when there is something. Now if you said “nothing of value” I would almost agree, but there is value in that Philo (or pseudo Philo) took Plato’s account seriously. Ammianus Marcellinus lived 8 centuries after Plato. If he’s referring to Atlantis, then he is probably using Plato as his source too and taking it seriously. I never used to care about this subject, but something about it fascinated me and I’ve done a lot of my own research and read stuff from both the historical and skeptic POVs. IMO, many skeptics are guilty of confirmation bias and mathematic thinking. They are like the flipside of the same coin of those fringe theories claiming Atlantis had magical powers or was invisible and what not. For most skeptics, Atlantis needs to fit specific almost Asperger’s-like guidelines. They’re picky about the spelling, it needs to have a Plato’s Republic-style government, it needs to have a concentric ringed layout, it needs to have been a great military power on land and sea, and it needs to have sunk 10,000 years ago. Otherwise it’s not Atlantis. If something was ever found to fit most but not all of this criteria, it wouldn’t be good enough to convince skeptics. That’s my opinion anyways. Plato’s contemporaries and successors not taking the account literally is a skeptic position which is only half true and ignores those who did take it seriously. Problems with interpreting Plato include translation mistakes (the originals are also long gone). The biggest interpretation issue being the Erythraean Sea and Pillars of Hercules which even as late as Plato’s time were NOT fixed to the Persian Gulf and Straits of Gibraltar (there were ‘other’ Pillars by the Black Sea and Italy). This is why there are so many crazy location theories. That and there were probably a lot of distant memories of various earthquakes and flooded lands all over the place which got confused with the Atlantis story. The biggest one being whatever happened in the Indian Ocean causing the migration of the proto-Phoenicians and Indus River Aethiopians. 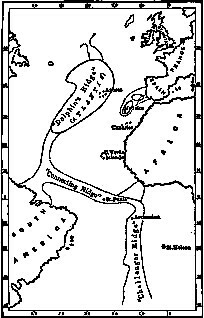 Michael Hübner’s Morocco theory IMO is the most plausible location theory. One of Plato’s kings is named Gadeiros which is etymologically related to an ancient name associated with modern Cadiz. Cadiz or Gades is from the Semitic root QDS (see above) and is the Latin and Arab name. The Greeks called is Gadir from the Phoenician Gadir/Agadir which has a different meaning. Agadir is also the name of a city near Morocco and the Atlas mountains. Herodotus called a tribe (in Northwest Africa) Atlanteans and IIRC conjectured Athena was an African import due to a similar style of dress. The ancient Berbers were also more matriarchal before the Arab invasion of North Africa. The “Libyan” Athena was associated with Lake Tritonis, thought to be a dried up lake near Tunis. This would put it near Carthage which ancient Jewish sources associated with Amazons. By the way, it’s been noted that ancient descriptions of Carthage are similar to how Plato describes Atlantis. Remember that Diodorus Siculus wrote about “Libyan Amazons” (perhaps it’s not a coincidence that Berbers call themselves Amazigh). His “Atlantis” account involves these Amazons conquering Atlanteans and also mentions Lake Tritonis. Plato says the Atlanteans held power over much of Europe and North Africa and were defeated by proto-Athenians. Solon supposedly learned the story from Sais priests, a city they claimed was founded by Athena (Neith). Plato uses the Phaethon myth as an allegory to explain the world being destroyed by conflaguration. Phaethon crashed in a mythological river that was later thought to be somewhere near Spain. The myth says he turned North Africa into a desert, possibly a memory of the rather historically recent desertification of the Sahara. But it’s a myth so it can’t be taken seriously. Berbers call the Souss-Massa-Drâa a word that means island. There are some interesting geological features which appear to be “docks”. If the Morocco theory has any kernel of truth to it, it would mean “Atlantis” is no longer flooded. The flooding was said to be shallow anyways (hence unnavigable due to shoals). Berbers and Sami have a common and rare mdDNA haplotype (thought to date 10k years back). It’s been long debated whether the Amazons were historical or mythological. Jordanes, the Gothic historian, said they became assimilated with the Goths. I find it very interesting that alleged encounters with a late surviving matriarchal group happens to have been in Scandinavia. This isn’t evidence of anything, but it’s something to keep in mind. I guess what I’m saying is I doubt Plato made the whole thing up. Even the Republic-esque government is similar in some regards to Egyptian and Aryan castes. He could have made it up though to push his Republic ideas, but I don’t think he made up the Atlantis part. A fair enough summary — except for the line that an island off Europe destroyed by an earthquake does not sound like Atlantis. To me it sounds exactly like Atlantis (a supervolcanic island at the Tore seamount off Portugal). I would certainly agree with you that there was no majority favoring a real Atlantis. My initial point was that there were varieties of opinions then, as now. Evidence that the tale was no more than a “literary device” seems quite slim — especially since Plato himself says the story Is “certainly true” and “fact, not fiction.” Most likely, the Atlantis tale is a typical historical legend, warped and embellished over time, but rooted in some past reality — as for instance, the tales of Troy and of the Minoan sea-kings. II think that Ammianus’s “large island off Europe” only sounds like Atlantis if you are already thinking Atlantis: “off Europe” could mean anywhere along the Atlantic seaboard and refer to, say, an island of Brittany. Yes, I”d agree that there probably historical roots to what Plato was writing, including the very real Atalantë, but i’m unimpressed by his character’s insistence – not his – that the story was true. Remember that Plato is not recalling a real conversation but is using characters who may not even have all been contemporaries to argue through philosophical points. Plato is not writing history or even writing down legends, but is writing political philosophy in these works. Mere ”truth” rarely enters political discourse! Remember, you say? Where’s the proof to this assertion? It’s interesting how skeptics frequently leap to the most comfortable conclusion and hold it as fact without the burden of proof. The shield of “skepticism” protects them from such labor. How convenient. Did anyone ever interview the Greek philosopher about his intent with this Atlantis story? No? It’s interesting that you include this under “Lost Continents,” because Plato never called it a continent, though he did refer to the unnamed continent across the great ocean beyond Atlantis. He also referred to his own continent, but he never called Atlantis a continent. There are 3 facts, each from a different scientific discipline, which support the idea that an Atlantis-like event occurred 9620 BC. They don’t prove Atlantis, but they certainly keep open the door to that possibility (http://missionatlantis.com/atlantis-articles/atlantis-proof.php). You also said in the article, “Most damaging for the hypothesis of a large mid-Atlantic island, there is no room for a landmass in what we know of the geological history of the Atlantic Ocean.” Again, your proof? Most mountains in the world are formed near tectonic plate boundaries from plate convergence (subduction, crustal folding and the like). Plato said Atlantis faced Gadira (southern Spain). This means that it was close. Perhaps it was even in sight of the mainland. But also Plato tells us that Atlantis (possibly the capital city) was 11 days’ sail from Gibraltar (Pillars of Herakles). Based on the speed of Columbus’s ships, this would place Atlantis (capital?) near the Azores, if sailing due west. This expanse is consistent with Plato’s description of the size — ancient Libya (northern coastal Africa except the Nile Valley) and Asia (Minor) combined. From Gadira to the Azores runs the Africa-Eurasia tectonic plate boundary. And it is a tortured boundary — quite indistinct in places (damaged?) east of the Azores and with a sudden turn at the eastern edge of the Azores where a massive underwater plateau starts — the controversial, non-sequential Azores “hot spot” (unlike the Hawaii hot spot). Again, these anomalies don’t prove Atlantis, but they keep open the door to that possibility (http://www.youtube.com/watch?v=FbT_oDLi32E). What harm is there in discussing facts, but labeling hypotheses as such rather than treating one’s own ideas as fact? Bottom line, the problem is ego. Like the Clovis First dogma that threatened so many careers if scientists attempted to dig below the Clovis horizon. Ego is the wailing of the threatened and ridiculed, but it is also the gnashing of the know-it-all elite who stop progress, or at least slow it down. Atlantis may turn out to have been merely a story made up by Plato. All of the coincidental evidence in support of Atlantis may turn out to have been merely accidental coincidences, rather than cause-and-effect coincidences. But we will likely never know so long as there is a climate of ridicule, instead of a humble hunger to learn. “Did anyone ever interview the Greek philosopher about his intent with this Atlantis story? No?”. Nobody needs to. Plato was writing philosophy. That’s what he was known for. The people whose conversation he records were not even contemporaries, so, at the very least, he’s invented it. Now, why would he do that? By looking at the rest of his books, we can see that he has people engage in conversation to discuss philosophic viewpoints, often with a political subtext. If we look at the Timaios and the Critias as texts rather than as quarries for information about Atlantis, we can see that the first deals principally with the structure of the world and of humanity, while the second appears to be setting out a cyclical view of history, with different ages separated by cataclysms. As it’s unfinished, we will never know if this was the principal intention; what the projected and never started third dialogue of the trilogy, the Hermocrates, would have dealt with can’t be guessed. True, Plato never used the term “continent” to describe the island on which the city of Atlantis was located. He calls it νῆσος ἅμα Λιβύης ἦν καὶ Ἀσίας μείζων (“an island larger than Libya and Asia”); Libya, to Greeks of Plato’s day, means the part of Africa known to them, while Asia means all that part of Asia known to them (it’s a modern myth, based on the meaning of Asia as the Latin name of a province, that makes Plato’s Asia refer only to Asia Minor). This is huge. Incidentally, the term “continent” doesn’t have a proper equivalent in Classical Greek: the nearest term is ἤπειρος, which effectively means “mainland” (as opposed to an island), so, I suppose, Plato’s use of the term νῆσος indicates simply that it isn’t connected to Europe/Asia/Africa, which would be the true “mainland”. It is indeed the word ἤπειρος that he uses to describe the land beyond the νῆσος of Atlantis. Once again, we know from Classical writers that this land was thought to encircle and enclose all the oceans of the world. I include Atlantis under “Lost Continents” because that’s what everyone else does. That’s the rubric under which visitors to the site would expect to find it. Don’t take the matter up with me, take it up with popular culture! Your “3 facts, each from a different scientific discipline, which support the idea that an Atlantis-like event occurred 9620 BC are not really that much support. Following the link you give, I see that the author of the page (one Rod Martin Jr) gives these: 1 An abrupt and major change to climate worldwide; 2 A moderately large trace of volcanic debris in the Greenland ice cores; 3 A sudden, 2-meter drop in sea levels worldwide. Firstly, I don’t see them coming from “different scientific discipline[s]” as they are all related to palaeoclimatic studies. The “abrupt and major change” is what’s referred to in Europe as the Younger Dryas, in Britain as the Loch Lomond Stadial (or Re-advance) and in Ireland as the Nahangan Stadial. It is conventionally dated 12,800-11,500 BP (i.e. 10,850-9550 Cal BCE), it’s almost all over by your “9620 BC”: the destruction of Atlantis cannot, therefore have caused the cooling, which means—shock, horror!—Plato’s not recording an historical event whose date he knows. The “volcanic debris in Greenland ice cores” may well be associated with the onset of cooling, but it’s not Atlantis that’s implicated. Rather, it’s the Lacher See volcano in Germany, which erupted around 12,920 BP (ie.e. 10,970 Cal BCE). Again, the date doesn’t fit Rod Martin Jr’s 9620 BCE. The sea level drop is entirely associated with the onset of the Younger Dryas, as a return to glacial conditions locked up more water as ice in the re-expanding ice caps. No mystery here. Again, the date is well before Mr Martin’s mid-tenth millennium BCE date. Your comments about mountains are irrelevant when talking about the mid-Atlantic ridge. This is a feature caused by the upwelling of material at the divergent boundary of tectonic plates, whereas mountain ranges such as the Himalayas, the Andes or the Rockies develop along the boundaries between colliding plates. Opposite phenomena! The Atlantis Massif, the bulge in the centre of the North Atlantic, is formed from peridotite, an igneous rock characteristic of the mantle rather than continental plates. From what I understand of plate boundaries, that between the African and Eurasian plates is quite well established; not all boundaries are known in detail, of course, and those under the sea can obviously be more difficult to trace than those that run through land. I’m afraid that I don’t follow your introduction of 9/11 conspiracy theories or ego. Yes, I can see that you’re decrying an attitude that prevents people from asking questions. Quite how this relates to Plato’s political fable is something that I haven’t grasped. Mea culpa, I suppose. But you’re wrong if you think that I have a massive ego or lack “a humble hunger to learn. Thanks, by the way, for pointing out my typing error. It’s now been corrected. If a large island off Europe was destroyed by an earthquake, it almost surely was off the coast of Iberia since that area is much more seismically active than regions farther north such as Brittany. The coast of Portugal has been repeatedly struck by killer earthquakes, including one of the worst in recorded history — the great Lisbon quake of 1755. I have to admit though that your last sentence is irrefutable. If Atlantis was an enlightened society and technologically up to modern day standards, one has to wonder why they attempted to conquer everything in sight, or how they where defeated by a bronze age culture. Conceptually and historically, the New Age Atlantis clearly has NO support in Plato’s tale. Have you read Peter James’ “The Sunken Kingdom”? James is dodgy in many ways, and an advocate of Rohlesque reordered chronology, and he massively overstates the case for his presumed Arzawan “Tantalis” being _the_ origin of the whole story; I’d never recommend treating him as a serious historian. Nevertheless, his basic idea – that there are connections between the Atlantis story, the Tantalus myth, the mythic prehistory of Lydia, and the actual history of Arzawa – is intriguing. While any such connections would certainly be much weaker than James makes out, I can well believe that a) myths about Bronze Age Lydia contain some real echoes of Arzawan history and b) these were among the influences on Plato when he created Atlantis. Atlantis was real. The ruins are still visible. You can even Google it if you know where to look. The city was located on the Bolivian high plateau, called the Altiplano. There are two legends, Platonic being only one. The other is the Legend of the Desaguardo River (Bolivia), an Incan legend that tells the same tale. The city was called AULLAGAS. Google it or ‘Pampa Aullagas’ or link to my web site; http://www.eliteword.com. I wrote a book about it as well as other legends of the place; orichalum (true), the life drug (true), first international transoceanic trade center, etc. The legends say that Atlantis/Aullagas was able to turn men into beasts. New archaeological evidence indicates that they were trading with Egypt and the middle east; trading DRUGS. They traded tobacco, marijuana and coca (modern folks process this into cocaine). “Men into beasts” who would do anything to get more of this, which could only be grown in one place at the time. Estimated time of destruction of the city; 1300BC. An exodus of South America followed and turned into several invasions of the eastern Meditarranean, hence the Platonic story of successful Greek defense against Atlantans. BUT pharaoh Rameses II ALSO recorded fighting them 4 times and winning. Legitimate historians say that these invaders were called “Sea People” and say that they came from across the sea, BUT will not admit to point of origin. Plato called the city “Atlantis”. A South American word for water is ATL and the name of a tribe of people who STILL live in the Andes mountains is the ANTIS people. Some believe the mountains were named for them, but consider the extraction of the word ATL-antis, which in S.A. means “water people” because they traded on the sea. Water People vs. Sea People? Coincidence? Not if you Google the whole thing. There is more, much more. The idea that Atlantis should be sought on the Altiplano of Peru was suggested a while back by J M Allen. Paul Jordan does a pretty good take down of Allen’s idea in The Atlantis Syndrome (Alan Sutton, 2001), pages 175-80. The idea that “[l]egitimate historians say that these invaders were called “Sea People” and say that they came from across the sea, BUT will not admit to point of origin” is just wrong. We know fairly well where most of them came from: as you like Google, so much, just give it a go. I have read the Atlantis Syndrome, and I remember from that, that orichalcum was an alloy (copper-nickel or copper zinc, I don’t remember that well) and above you say orichalcum is unknown: just curious as to which is ir, and why? I googled and Wikipedia also suggests several alloys it may have been but offers little speculation on which may be most likely to be correct orichalcum as meant by Plato, if any. Did Plato know what orichalcum was, or did he just use the word for effect, even? For a masters course in ancient history, ‘Greek stories of utopia’, I have studied the Atlantis myth as portrayed in Plato’s works. An important remark that hasn’t been made yet, is that amongst philologists (people that study texts) there is modern day general consensus that the myth of Athens vs Atlantis was in fact a complete fabrication by Plato to present current state of affairs in the Athenian state: the mythical tale was a form of self-reflection of socio-political behaviour of the imperial Athenian state. Plato favored a Spartan way of living (autonomous, land-based, blut und boden) over the golden age Athenian imperial way that was without moderation and had been corrupted by the sea (a lost self-identity because of many different cultures, overzealously confident). In his day and age Athens had just performed a failed attempt to capture colonies on the coast of Sicily and the golden days were beginning to wane. Plato was convinced that the Athenian empire, grown by the favor of the sea, was creating its own doom and that it needed to go back to its original ‘utopian’ land based form as described in the philosophical discussions of the Politeia, most realistically mirrored by neighbouring Sparta. This sea/land dichotomy is mirrored in the mythical war between Atlantis and Athens. But mind you, this is not a war BETWEEN states, but a war WITHIN. Atlantis stands for the golden age Athenian empire, while utopian Athens is Athens as it should be in the eyes of Plato. Thus the myth is a tale of how modern day Athens is caught in a moral fight with its utopian self deciding its identity and fate, through this construct both criticizing imperial Athens as promoting Plato’s ideal state with the philosopher-king as head of state. There are many parallels to be found in the mythical war in relation to Plato’s present. Atlantis’ posing as imperial Athens water based (both have a giant navy) splendour (fe the highly embellished Akropolis vs the riches of Atlantis), multiplicity (many cultures trading in the harbour of Piraeus just as they do in Atlantis), having in possession enormous stretches of land (Atlantis has conquered a great deal of Europe, which Athens has done through the Attic-Delian imperial league), the power of the multiple (10 kings of Atlantis vs the 10 democratic people’s assemblies of the Athenian demes) versus a landbased (inland Athens) simple society (three classes; common people, soldiers and the philosophers harmoniously living together, each playing their part) without a harbor, living as one, controlling a small surrounding territory and ruled by the wisest few and not the majority who use instinct over wit. Not surprisingly, utopian Athens prevails in the war and symbolically wins on land (their strength) while Atlantean Athens loses and their continent/reign goed under in the sea, from which they got their original strength (like a snake biting its own tail). Plato fabricates a mythical history to subtly criticize (not wanting to suffer the same fate as his mentor Socrates) modern day affairs. Crop circles are made by bored farmers and practical jokers and have nothing to do with Atlantis. That is well established. Thanks for stating (to the site-owner and Joris Boonekamp in his comment) what most popular treatments of the topic seem to ignore – that as far as we know Atlantis is no myth, just a piece of fiction and so does not need any kind of historical explanation! Large island off “Europe” (Europe as seen from a Greek perspective) that had a great standard of living, was hi-tec for its time (cutting-edge sailing ships, trading culture) and disappeared into the sea. Santorini/Thera, surely? It’s a caldera now, a dot of land circled by water, with a rim of land again round that. But the land was more substantial when the Minoans had a busy port city there — according to the painted stucco wall-paintings of the island/city found there by (real) archaeologists. Santorini’s bronze-age eruption was a really huge one in world terms: seems to have caused a tsunami that hit nearby islands – and an ash/ pumice fall several storeys deep. Falling on the sea, it’s is an excellent candidate for Plato’s “shoal of mud” — lightweight ashy-stone tuff that looks like bubbly chalk — because it floats. It would have taken a while, maybe a couple of years, to wear down and sink. Metres of it, puvlerised, cover the sea floor now. It would be strange if Greek civilisation did not have some sort of story of one of the most massive eruptions within human ken; it’s likely that the economic as well as the physical fallout would be as devastating around the Mediterranean, given that it was clearly a wealthy, important trading centre. To be honest, I thought this was a fairly mainstream account. Thera’s eruption wouldn’t have appeared like a Vesuvius or Fuji type volcano, like a mountain shooting fire up, because it was already a kind of collapsed caldera, activity underwater — with people living on the high shoulders and rim. It would have seemed like an earthquake with mysterious violent clouds and storms. The tidal waves following pyroclastic flow and the caldera’s collapse — they fetched up very high on the hillside of nearby islands. A short-range, brutal tsunami. Since most of the towns on the islands would be coastal, comparitively few people who witnessed a tsunami actually happening would have survived it. It ran right up the hillside of nearby islands, so the geologists say, taking loads of sea-bottom stuff with it. Would the bronze-age people have identified Thera as a volcano recognisable to us in literature? I doubt it. We picture “an erupting mountain”. But they would just hear from those who sailed off in the days before it really blew – and we know from the way bodies have been found “killed in action” that it blew very suddenly: Those recent visitors would describe earthquakes, thunder, smoke &/or ash falls. The whole region — even as far as Egypt — got an ash-fall. The visbility would have been nil nearby. And the smoke clearing, when sailors ventured through this “shoal of mud”, Thera and the towns on the coast roundabout (a big chunk of a maritime civilisation, including parts of the Cretan coast) would’ve just “vanished into the sea” leaving no houses or fields visible on the land that was left — they were buried many metres deep. Many still are. Yes, Santorini/Thera is a favourite identification for an historical Atlantis. The problem is that it’s in the wrong location to be Plato’s island. And the eruption that destroyed it is the wrong date. At best, stories of the (near) destruction of Santorini/Thera may have influence Plato, but the island cannot be Atlantis in any meaningful sense. I think the Minoan culture was as close to a real-world Atlantis as we can get. The rest is either misunderstandings or made up by Platon. His description of Atlantis should not be taken too seriously. Atlantis is a myth, exactly like other similar myths of Troy, Nineveh, and lets see, a mythical continent Plato describes west of Atlantis, i think its called America these days. Plato’s original work in Greek has been lost, and what we read today is a Roman translation. Now, I’m sure most know the hatred Romans had for Carthage (Katon). Why this is relevant while become clear as I continue. Plato/translator records the originator of the tale as a Egyptian priest. Now most probably don’t know that Egyptians had a slightly different world view than Europeans: to them, south was “up” and north was “down”. So, by putting the words into the words of an Egyptian, Plato/translator can ‘flip’ the world upside down in the book. Carthaginian harbor was constructed to operate very similarly to the three rings of canals in “Atlantis”. Carthage (state) was surrounded by water on three sides, and the Sahara on the fourth so it was basically an island for the ancients. Carthage had a very extensive agriculture in it’s hinterland supported by irrigation systems, and to the south (Egyptian flip!) was mount ATLAS as noted in the book. Close to Carthage, there are mines rich in mineral still being mined today. The list of these is strikingly similar to those mined by “Atlanteans”. Also, the extent of the Carthagean empire at it’s peak is identical (not similar, IDENTICAL) to the “Atlantean” realm in the Mediterranean. The Carthagean senate was an oligarchic institution, and the 10 kings referred to by Plato/translator could represent the patriarchs of the most powerful families, but that is just my own speculation. Looking at these evidence (which is not a complete list of evidence, just the facts known to ME personally) a theory can be extrapolated that Plato actually talked about Carthage as the ideal state in his original work, a statement which would cause the average Roman scholar to blow a gasket. So the Roman translator of Plato had to invent Atlantis in order for Plato’s work to be read with an open mind by the Roman elite and not dismissed outright due to references to the scorned Carthaginians. Of course, none of this “theory” of mine can be proven without a Greek original of Timeas and Critias, and I am certainly open to the possibility that there are facts unknown to me that disprove all of this. Again, please state them if known to you. Actually, Ivan, we do have the Greek text, not a translation. Oh… Well, thanks for telling me, now my knowledge is corrected! “For five days in December 373 B.C., witnesses in the area noticed that small animals like snakes, mice and insects were migrating en masse away from the coast and to the mountains that form the southern border of the Helike Delta. Indeed, earthquake researchers have noted an apparent ability among some animals to sense an impending quake and attempt to escape the area. This held true for Helike as well. In the middle of the night on the fifth day, a major earthquake struck the area, followed by an enormous tsunami from the Gulf of Corinth. In a matter of minutes, the city of Helike was overcome by the sea, just as Plato described Atlantis. The take by the Stuff You Should Know boys is that Plato made up Atlantis. No one had ever referenced it or mentioned it before him. It’s an interesting article, but I do have a problem with some of the reasoning in it. you use the same “lack of proof” to say that things are not true. For instance, saying that there is no coin before 600 BC does only proof that we didn’t find any. This does not mean you are wrong (or right), but it is very difficult to verify stories/history with the few proof/artifacts we have found until today. Almost every time a new coin, vase, stone or human skeleton is found, statements from before are proofed to be wrong. In my opinion, seeking for truth and knowledge, should start by looking in all possible directions/possibilities and not to exclude them by the “lack of knowledge” or exaggerate stories, calling it archeology. No, the fact that there are no coins before about 600 BCE is not that we haven’t found any, it’s that we know from ancient writers the historically specific circumstances under which coinage was first invented. We can then document the spread of coin use across Asia and Europe from itsbeginning in Asia Minor, partly through documentary evidence and partly through archaeological data. Well, I think what @GD is getting at is that coinage could certainly have existed somewhere else independently and simply not have spread. We can’t prove that didn’t happen…but now we’re getting silly, really. To @GD’s point, it’s just not of any real value to say that we can’t prove something absolutely didn’t happen. That we cannot disprove that Plato may have in some part or even whole based his Atlantis on a historical (at least to his perception) place is of little consequence; more to the point, we cannot credibly place anything specific about Plato’s Atlantis, and so far any apparent or theorized connection appears largely coincidental (at best) and the degree Plato may have been inspired by some place such as Thera is really more a literary or biographical interest rather than one of historical or political philosophy consequence. At least until we can reasonably find a more historical connection, which, so far, seems unlikely. People have been debating the fact vs fiction since antiquity, or so I have read: what blurs the line is of course the “inspired by true events” angle as used now by Hollywood… While Plato might have written a fictive parable, the details may have been inspired by Helike or any other natural disaster of history: but there is no evidence he knew about Santorini for example. Unfortunately I do not have a copy of Atlantis Syndrome at hand, the writer mentions a tsunami at Atalantë as possible source, as far as I remember – but is it the same as Helike? The details seem awfully similar but as said, from memory. It would still make it fiction of course, and while unravelling Plato’s literary influences is very interesting, it hardly supplies that “real Atlantis” people seem to yearn for. The label sells documentaries though, who would know about Santorini and the fall of Minoan culture except from seeing a (probably interesting and factually correct) documentary about “Is it the real Atlantis?” – to which the answer given is Yes, No, Maybe, Who knows? – such is the handy tag of naming anything with a question. Is the moon made of cheese and inhabited by giant weevils? Let’s find out! Atalante and Helike are different places: Helike was in Asia Minor, Atalante off the coast of Greece. Both may well have contributed to a general belief that lands could sink beneath the surface of the water, never to be seen again. While Plato’s story of Atlantis is clearly a myth, I’d like to propose a possible theory as voiced by one of the lead characters in my thriller novel “Emerald”: what if in circa 5600 BCE the Mediterranean Sea breached the Bosporus plug, flooding the exisitng Euxine Lake to create the present-day Black Sea, thus triggering a disapora of the inhabitants along its shores and ultimately resulting in the mythology of a “drowned continent”? Atlantis is a very interesting thing. Plato has told clearly where it was, and approximately when it sunk. His knowledge based in Egyptian’s written archives of library of Alexandria. Why is it so difficult to us western people to believe something different calculations than what is said in bible about human civilisation’s age? Bible is a man written book, what bases in jewish manuscripts, and what almost every pope has changed so, like what has been useful to his political carrier. That we’re used to say THE TRUTH! How about Indian sanskrete written manuscripts? Or Gilgamesh? Or Americans’ native’s tales about their history? Allthough last few decades have brouht into light new foundings and theories based into science, I just wonder, why ww2 german submarine captain Otto Muck’s investigations and theories has been so underestimated? He believed that Azories are the only land over the sea, what existed from the Atlantis. Jarmo, Alexandria and its library didn`t exist in Plato’s day. Also, the bible, which no pope has ever changed except for that one pun about Peter, doesn`t enter into the question. Neither does any of the other texts you mention. As for Otto Muck’s book on Atlantis, it is very entertaining but has little foundation in fact. If it’s a case of German Submarine Captain versus The Science of Geology & Everything We Know About History, I’m afraid the glorious U-Bootwaffe is in for yet another defeat. A little correction to the above post by the article’s author: Helike was in the northern Peloponnese, not Asia. I remember a number of earlier lifetimes in Atlantis and one in Lemuria. This is over the past one million years. Given the reluctance of scientists to search for Atlantis, the main access to data on this subject will probably remain the work of psychic mediums such as Edgar Cayce and Ruth Montgomery, and those of us who lived in Atlantis, Lemuria, and other early civilizations, and can draw on our past lifetime memories for archaeological information. It is up to our scientific researchers to make more of an effort in exploration for the most earliest of civilizations. On this site you’ll find information concerning a new Atlantis hypothesis: Plato’s Atlantis in the Souss-Massa Plain in today’s South West Morocco. This hypothesis and a documentation of the large archaeological site, which was discovered in the Souss-Massa plain, were presented to the public on the 2nd International Atlantis Conference, November 2008 in Athens and 3rd International Atlantis Conference, June 2011 in Santorini. Within the caldera-like structure and on the surrounding hills are many ruins (probably n >> 1000) of different types. Among them are foundation walls of large buildings, semicircular stone wall fragments, oval and horseshoe-shaped floorings, caverns and lime kilns. Old paths and substantial landscaping are also present. All buildings are completely ruined and give the impression of being Neolithic in origin (only after a thorough archaeological investigation could we be sure of the age of the ruins). For the most part, the buildings were found in the central area of the structure. In ancient times, the entire region must have been densely populated: a vast area of more than 20 km2 is covered. The translation of Plato’s Atlantis Nesos is Island of Atlas. This applies very well to the Souss-plain, which is surrounded by the High Atlas, the Anti Atlas and the Sea of Atlas (Atlantis Thalassa). There is a book titled “The Atlantis Enigma ” by Herbie Brennan. In it he presents the (admittedly speculative) arguement that a supernova which occured 12,000 years bc (bce?) caused a piece of the star to hurtle through our galaxy changing orbits of certain moons and coming close enough to earth to create mountain ranges cause quakes & volcano eruptions and sink whole continents, such as Atlantis. The timeing is shown to fit with Platos description.